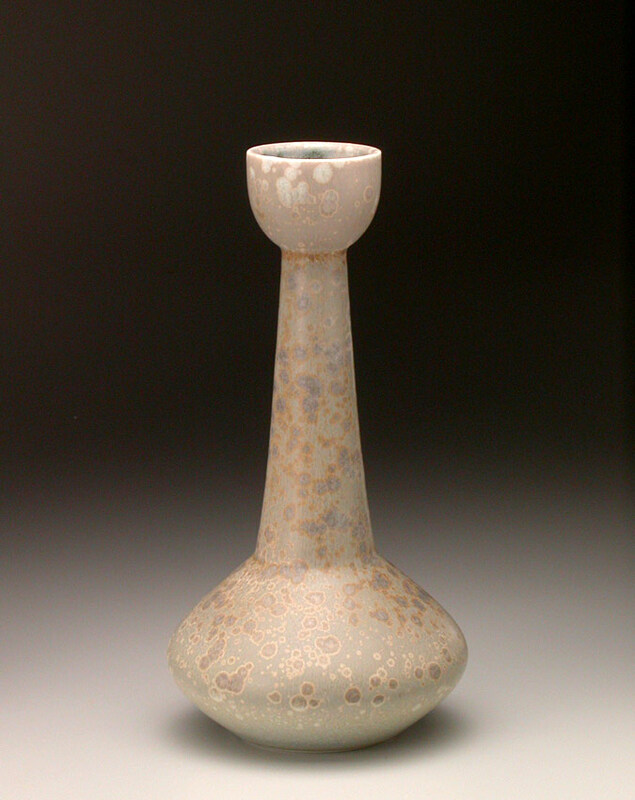 What motivates a man of mathematics to become a man of porcelain, stoneware and clay? An idea which cultivates a vision, a willingness to undergo radical change and courage to exercise obedience in response to an emerging creative ability. 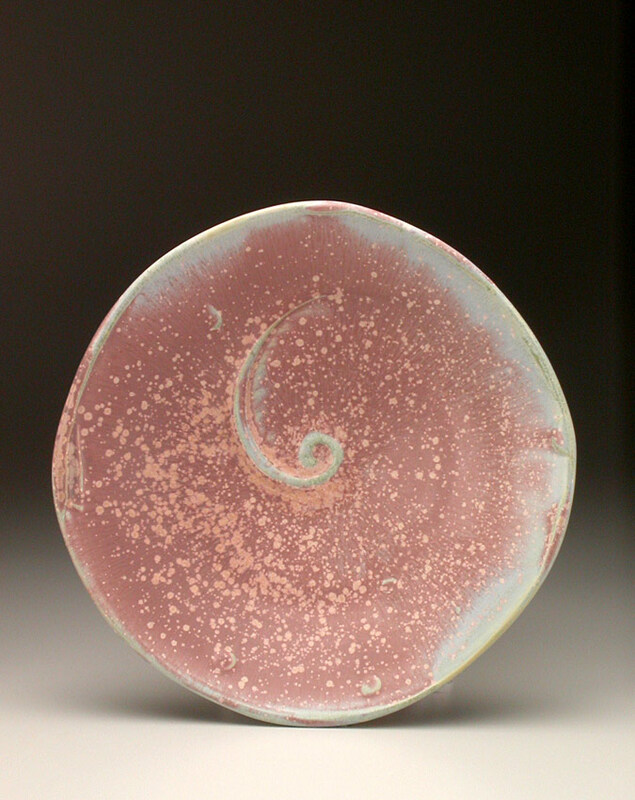 Such is the case with John Tilton of Alachua, Florida, whose eleventh-hour decision to shift his professional goals from pursuing a Doctor of Philosophy degree in mathematics to becoming a master potter appears as natural and inevitable in retrospect as it probably seemed surprisingly bold at the time. He has progressed from the more sculptural ceramics characteristic of his graduate work to functional pottery to one-of-a-kind items that allude to the principles of the first two. 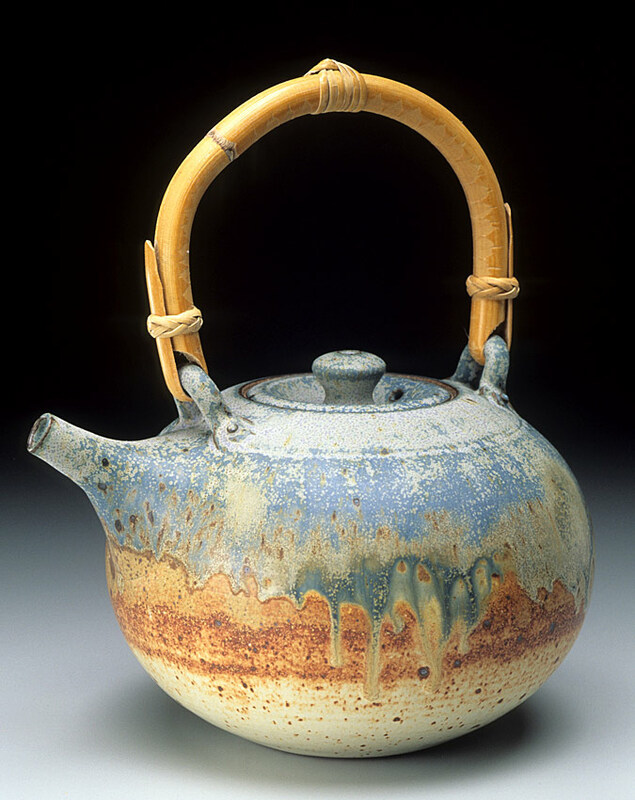 This progression has also involved exploration of clay, porcelain and stoneware – the material holding his current interest but which, according to the artist, “is subject to change at any minute.” Flexibility and perseverance have marked Tilton’s attitude throughout his 18-year career. His respect for the uniqueness of each material has remained equally obvious, as careful consideration is always given to the personality of the substance when decisions of size and shape are formalized. Qualities specific to a mass of clay, such as its hardness, age and bacteria level, often dictate how a piece is created. The same attention is given to a substance such as porcelain, which challenges the potter with its lack of plasticity (an inability to hold its shape) and its high susceptibility to cracking or breaking (being described as more fragile than an egg before being fired). 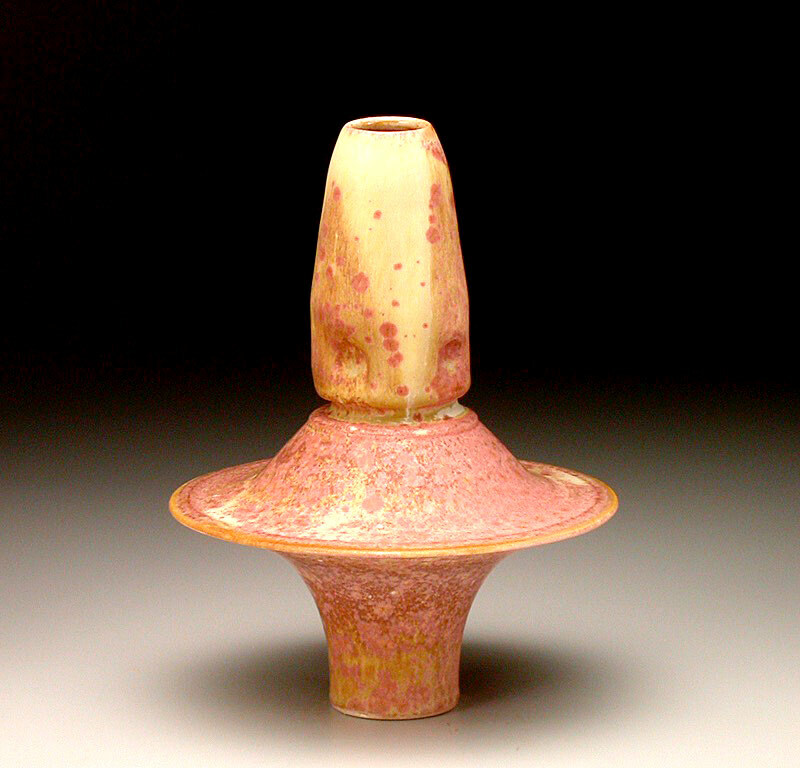 Through it all, Tilton continues to push the tools, materials, his talents and his assistant, Anne Stewart, for a broader knowledge of potential in pottery. It is interesting when considering the intense and deep comprehension on Tilton’s part as to what being a potter really means. It attests to the degree of his commitment to his work and a desire for excellence. Determined to stay loose, he strives for precision that is not cold and forms that are in a particular mode in tune with the spirit to be projected. 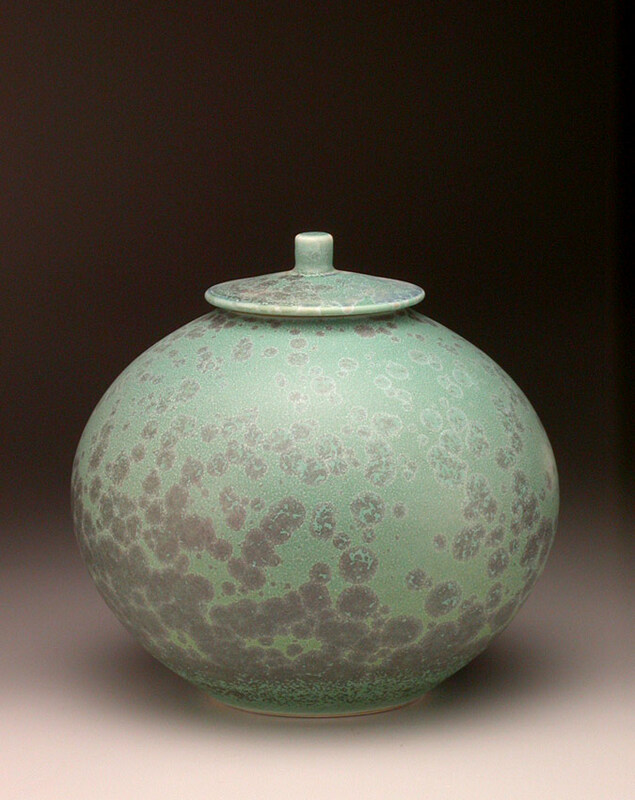 Having taught ceramics classes, studied with master potters, organized and hosted artist workshops in ceramics, received numerous awards, and had his works purchased by collectors and corporations all over the world, Tilton continues to address the notion of precision and spirit with inquisitiveness and drive. Recently he invited 10 other potters to his shop to share energy and make pots together with the single motive of growth as their guide. Though he has learned to “live off nothing when nothing is coming in,” he knows the importance of keeping functional commissioned works in balance with those things “which sell much slower but come from feelings inside myself.” With the aid of meditation (twice a day) and an amenable environment ( he lives above the 2,000-square-foot studio), John Tilton has turned a career into a way of life.